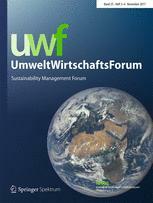 Über mein Bücher "Anleitung zum Uninnovativsein" und "CSR und Logistik"
Über meine Studien "DABEI Innovationsklima-Index" und "eFood in Deutschland"
Creativity is one of the key skills of the 21st century in engineering. However, many current curricula in engineering education do not adequately incorporate creativity. If creativity is taught in engineering, the focus is usually on creativity techniques. Creativity techniques are either too broad for engineering problems and mainly rely on association (e.g. brainstorming) or are focused on invention, but very complicated and hard to learn (e.g. TRIZ). 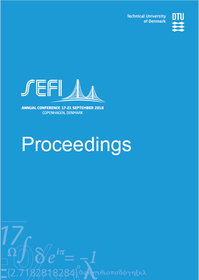 The paper proposes the use of heuristics containing process rules, as they are useful in highly uncertain environments, easy to learn and provide direction and instruction for engineers. The focus is on functional creativity for engineered products. Functional creativity usually starts with a specific problem (insight or inventive problem) and leads to products with a useful purpose. That means that functional creativity puts a stronger weight on usefulness than on originality, as in a typical industrial setting. A literature analysis of existing frameworks in creative problem solving and insight psychology is conducted to find the main heuristic principles of creative problem solving. Moreover, a meta-analysis of existing collections of heuristics in invention from historical analysis, inventor insights or principles underlying creativity techniques provides useful creative heuristics. 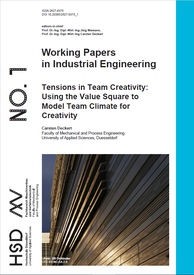 As a result, the paper develops a framework for creative heuristics in engineering with four main principles. The framework contains a collection of creative heuristics in engineering allocated to the main principles and can be used in engineering education to support students in inventive projects. A first test in a master course elicited positive feedback. National innovativeness is one key driver of economic development. The relation of national innovativeness and national culture has been firmly established by research. Cultural factors, however, influence national innovativeness via different mechanisms on the macro-, meso-, and micro-level of a country. 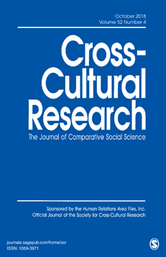 In our article, we build on existing research on the link between cultural dimensions and national innovativeness to develop a new model that classifies different cultural dimensions in groups according to their mechanism: political, social, or individual (PSI-model). Using a newly established data set composed of world data, we test and find support for this model using a variety of regression models. The PSI-model provides a more structured theoretical background of the impact of different cultural dimensions on national innovativeness, especially with regard to social practices and social values. It can be used to generate policy recommendations on national innovativeness and offers further applications in fields related to the various impacts of national culture. Transport is to a vast extent responsible for the greenhouse gas emissions of logistics companies. The DIN EN 16258:2013-03 was introduced to simplify and standardize the calculation of greenhouse gas emissions of transport activities. The authors try to clarify which tools and approaches for the transport carbon footprint calculation are commonly used and accepted in the German CEP (short for courier, express, parcel) industry. Their findings are based on interviews with industry representatives. As a result it can be concluded that the CEP industry indeed plays a leading role in the measurement of the transport carbon footprint, but that there is no generally accepted tool or approach for the transport carbon footprint calculation. Furthermore, there are considerable differences between CEP service providers and other freight forwarders with regard to transport carbon footprinting. ... Systematisch oder durch Versuch und Irrtum? 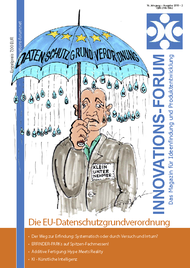 Das ist die Frage, die in meinem Artikel in der neuen Ausgabe des Innovations-Forums aufgeworfen wird. Konkret geht es darum, wie man dem Ingenieursnachwuchs kreative Denkfähigkeiten vermitteln kann. Hier plädiere ich dafür, den Studierenden das Thema Kreativität anhand von Heuristiken aus dem Bereich des Erfindens und kreativen Problemlösens nahezubringen. Heuristiken sind einfache Regeln oder Faustregeln, die das Entscheiden und Handeln vereinfachen.